These inverters drive a single fluorescent lamp (15, 18 or 20 Watts) from either 75V dc (TL20_75Vdc) or 110V dc (TL20_110Vdc). 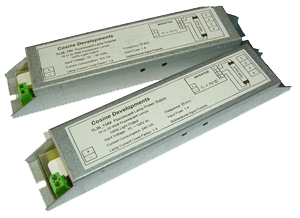 It can be used for emergency lighting, standby lighting, automotive and industrial applications. Mainly used in coaches / sub-stations.